Beach Cities turnout for Tuesday’s midterm elections was only a few percentage points higher than in the Obama-era midterm elections in 2014. Approximately 50 percent of registered voters in Hermosa Beach and Manhattan Beach, and 40 percent of Redondo Beach and El Segundo voters, made it to the polls on Tuesday. 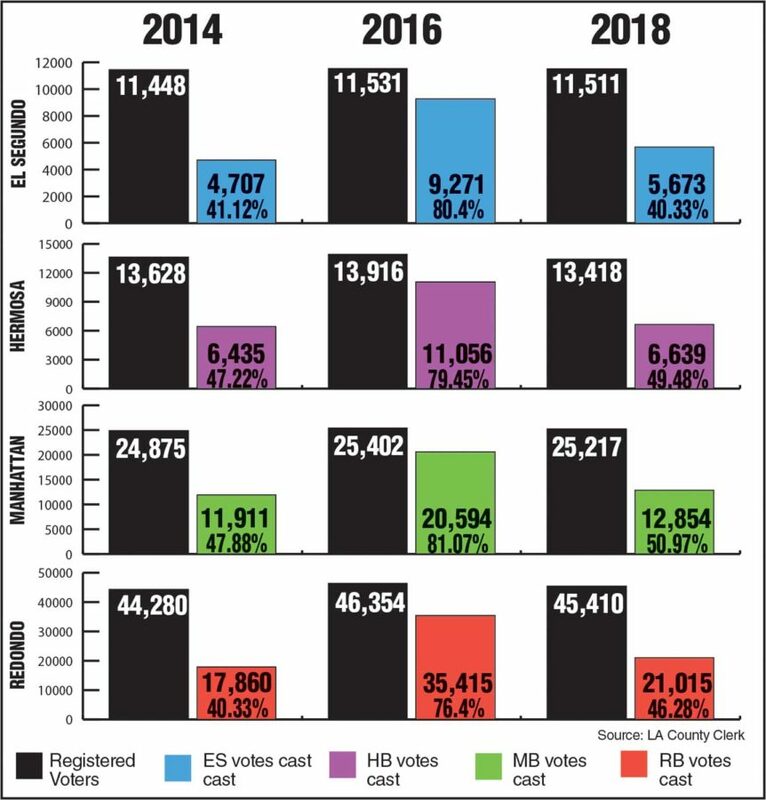 By contrast, turnout for the Trump versus Clinton Presidential election in 2018 reached 80 percent in the Beach Cities.